Renault announces pricing for Fluence Z.E. 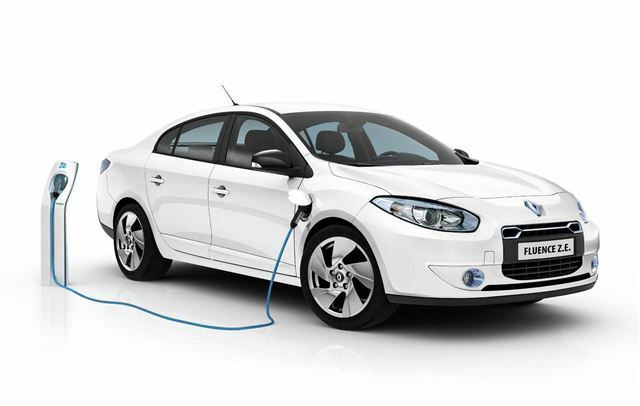 Renault’s Fluence Z.E electric vehicle is to cost £17,850 after the £5,000 government grant. That means it’ll be the cheapest EV on sale when it’s launched early next year. After buying a Fluence Z.E buyers must lease the battery from Renault at a cost of £75 per month (based on 6,000 miles per year over three years). Even so the running costs should be on par with a similar priced diesel, but with the benefit of zero tailpipe emissions. The Fluence Z.E. will be well equipped, with 16-inch alloy wheels, automatic lights and wipers, climate control, cruise control and sat-nav all as standard. Renault hopes that the lower purchase price will tempt more people into electric car ownership, and it’s certain to appeal to those who want to drive a full-sized vehicle, rather than something tiny like the Peugeot iOn. The £75 battery lease includes maintenance, giving buyers added peace-of-mind when it comes to running costs. The motor produces 95bhp and 226Nm of torque, which is on tap instantly, so performance should be brisk, and the range of 115-miles is comparable to other EVs. Those interested in the Fluence Z.E. can reserve online at www.renault-ze.com for a non-refundable £20 deposit.